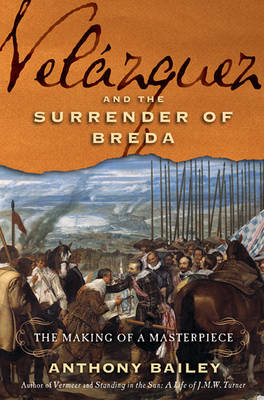 What began as propaganda art to celebrate a rare Spanish victory in the Eighty Years' War with Holland, "The Surrender at Breda" is today recognized as Velazquez's narrative masterpiece. "Breda" is packed with vivid military detail - whole armies are suggested on the huge canvas, twelve feet high and eleven feet wide. Unlike typical surrender scenes, there is neither a heroic victor on horseback nor a vanquished commander on his knees. Instead the rivals appear on foot almost as equals. The loser bends forward to offer the key and receives a chivalrous pat on his shoulder, as if to say: "Fortune has favoured me, but our roles might have been reversed." Anthony Bailey examines the paintings from which the artist arose, coaxing stories from them that flesh out a complete portrait of one of the world's major artists whose personal life has remained largely unknown.